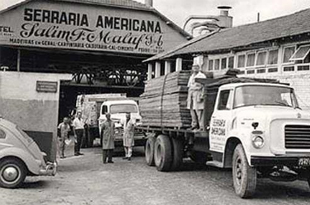 Founded on November 23, 1951, Eucatex was the first Brazilian company to consider environmental and acoustical comfort and to use eucalyptus as the raw material for making wood hardboard and panels. The company was created from Serraria Americana, which was founded in 1923 in the state of São Paulo. 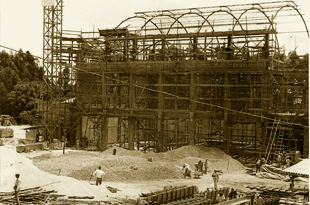 The first plant, which today is known as the Board Unit, was launched in 1954 in Salto, São Paulo, where Eucatex launched its production of acoustic ceiling panels and softboard, which was later complemented by the production of insulating and acoustic panels. From 1956 to 1965, the company opened sales offices in various major cities throughout Brazil, as well as in Buenos Aires, Argentina. Also during this period, Eucatex expanded its production capacity to 100 tons/day and began exporting to Europe. Through investments made in the late 1970s and over the course of the 1980s, Eucatex verticalized its production, staying focused on its core business, and strengthened its expansion plans by opening offices in the Netherlands, the United States and Mexico. 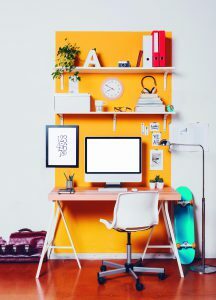 At the time, the Company began manufacturing the following products, all of which are directly or indirectly related to the production of fiberboard (both hardboard and softboard): Paints for internal consumption for painting hardboard; Metal profiles for ceiling systems and wall partition panels; Minerals with thermal insulation properties to complement the existing line of insulating products; and Agricultural substrates used to grow seedlings to form owned forests, as well as other lower-value activities. In 1993, Eucatex launched a new phase to diversify its product line by investing approximately R$300 million to implement the following projects: Construction of the Paints Unit in Salto, São Paulo, which was inaugurated in 1995; Construction of the MDP Unit in Botucatu, São Paulo, which was inaugurated in June 1996; Installation of a printing and paper impregnation line for finishing hardboard and MDP panels at the unit in Salto, São Paulo; and Maintenance actions for the industrial/forestry infrastructure as well as for the mineral and agricultural segments. In 1994 and 1995, investments were concentrated primarily in the construction of new plants. In 1998, Eucatex started concentrating its investments on becoming more competitive in its markets by modernizing its production lines, with reductions in production costs and the launch of new higher-value products. 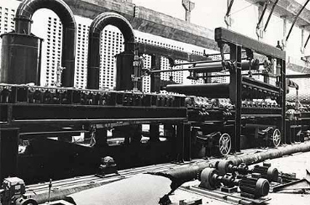 In that year, the Company invested approximately R$60 million in the following projects: Modernizing production lines at the hardboard unit in Salto, São Paulo; Expanding board painting capacity to significantly reduce costs; Expanding printing and paper impregnation and laminating capacity for the finishing of hardboard and MDP panels; Expanding the production volume of doors and wall partitions; Refurbishing and modernizing the utility infrastructure; Installing a new wood laminate flooring unit; Installing a new metal roofing line to complement the existing portfolio; and Expanding agricultural substrate production capacity to meet the market’s growing demand. In 2000, the Company expanded production capacity at its MDP panels unit, which was initially designed to produce 200,000 m³ per year, to 430,000 m³ per year. Within five years, Eucatex invested a total of R$772 million in its fixed assets. In addition to the construction of two modern plants, one for paints and the other for MDP panels, it also refurbished its industrial facilities, expanded its production capacity and invested in new complementary production lines (paint, finishing, printing and paper impregnation lines and production of roofing panels), in forests and in maintaining its production infrastructure. Eucatex became a pioneer in the industry by installing, in 2007, South America’s first wood waste recycling line on an industrial scale. This last-generation equipment enables materials obtained from within a radius of approximately 120 kilometers from the unit in Salto, São Paulo to be used as the raw material for manufacturing hardboard and as biomass for firing its boilers. The unit’s total processing capacity is 240,000 metric tons/year, which is equivalent to approximately two million trees, 470,000 cubic meters of standing timber or 1,500 hectares of planted forests. The investment in land and planting to maintain this volume of timber, considering a seven-year cycle, would amount to around R$200 million. Not only does it generate cost benefits, but recycling wood waste also prevents this material from being deposited in local landfills. In 2008, the Company began concentrating its investments in the new T-HDF/MDF Unit in Salto, São Paulo with production capacity of 275,000 m³/year, and in 2010, in the production of these high-tech panels with greater mechanical resistance for the manufacture also of flooring, doors and wall partitions. Today Eucatex is either the leader or a leader in its main markets, which demonstrates the tradition of its brand and its concern with the technological development and quality of its products. Click on the year for view historic. Eucatex S.A. Indústria e Comércio S.A. (“Eucatex” or “Company”) was founded in 1951 and soon became the first company to consider environmental and acoustic comfort by manufacturing and marketing ceiling and insulating materials made from eucalyptus fibers. These are low-density boards with thermal and acoustic insulation properties that are used extensively Brazil’s construction industry. In the late 1960s and early 1970s, the financial resources generated by its operating activities since its founding were invested in the installation of a production line to make high-density fiberboard, which is still one of Eucatex’s flagship products. Today Eucatex is Brazil’s second largest hardboard producer, with market share of 47%. Eucatex launched production of MDP panels in 1996 and currently holds market share of 11% in this segment in Brazil. It is the leader in the domestic market in wall partitions and has a strong presence in the door and flooring markets. Despite traditionally being known for the manufacture of hardboard, MDP panels and related products, Eucatex also has a fully-integrated line for the production of paints and varnishes for its own consumption and for sale. Eucatex’s industrial advances have always been associated with the growth of its planted forests, which ensures a continuous supply of a key raw material: eucalyptus wood. In 2010, the installation of the new T-HDF/MDF Unit in Salto, São Paulo effectively launched its production of high-tech panels with high mechanical resistance used to make flooring, doors and wall partitions. The Company’s main markets are the furniture and construction industries, which account for 41% and 40% of its revenues, respectively.